This fall, I am adapting and directing Shaip Grabovci’s Njërez Me Shpresa Të Thyera (“Men with Broken Hopes”) at SHSU. This is the piece I directed at the National Theatre of Kosovo during my 2012 Fulbright grant. 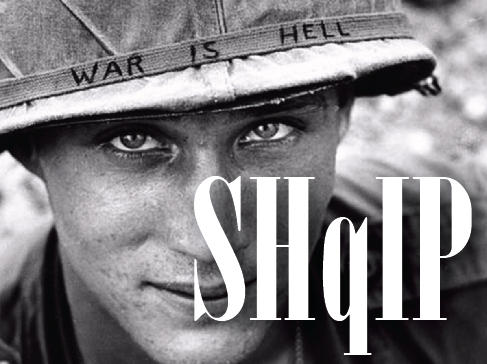 We are calling our adaptation SHqIP, because it takes place on a U.S. troop ship coming home from Vietnam and because the play originally was written and produced in Albanian (Shqip). Our production of SHqIP will be the first public performance in “The Underground,” the new performance studio in the FAMC Creative Community. Performances will be Wednesday through Saturday nights, October 21-24, at 7:30 p.m. Running time is appr. 95 minutes, and admission is free. This entry was posted in Uncategorized on November 10, 2015 by David McTier.